Pop idol Kim Hyun-jung of boy-band SS501 was confirmed Tuesday to have been infected with influenza A (H1N1) and is hospitalized in Tokyo, according to his agency. Kim is the first celebrity to be diagnosed with the disease that has already affected 6,214 people here. He was given the antiviral drug Tamiflu and placed in an isolation ward where he will stay for 15 days. 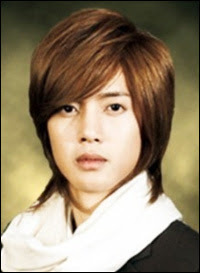 Kim gained international fame after starring in the KBS smash hit ``Boys over Flowers’’ as a handsome tycoon heir earlier this year. He was on a Japanese promotion for the drama from Saturday through Monday. I'm gathering infos so I could get the clear picture and the truth.... seems the 15 days is true !! ...in isolation...better send him LOTS of Manga ! !